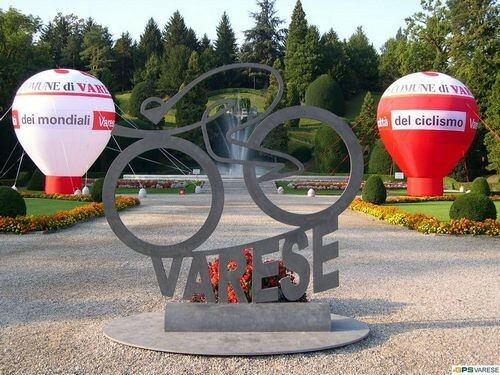 Riding around Lake Maggiore, Lake Lugano, Lake Como and Varese is very good. 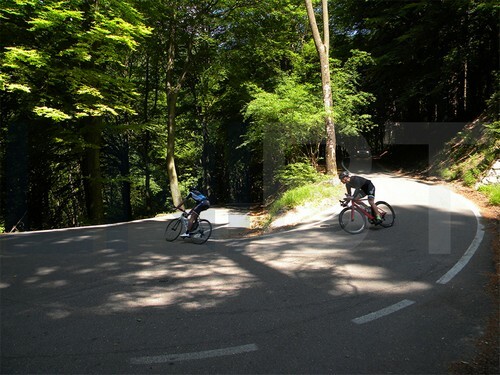 You can have so many options that you don't have make an effort to ride the same roads or climbs two days in a row, only a few minutes out of the front door and you can be at the foot of 5-10 kilometre climbs. 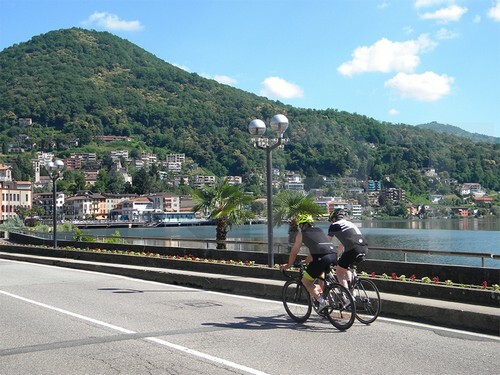 Northern Italian Lakes are a great place where to stay during a cycling holiday. You will like riding along the shores of the lakes before climbing into the hills that surround it to experience the amazing views, there’s something of everything up here. 1,600 km of roads and several climbs. 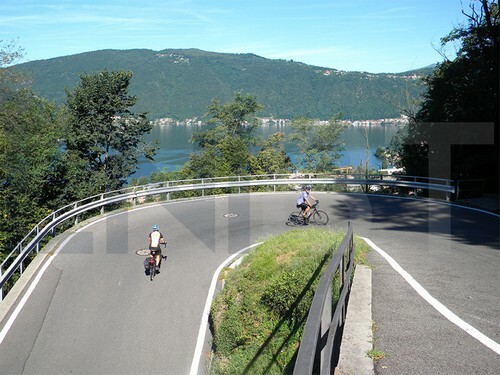 Riding on the lake shore, under the shadow of wooded hill or on the top of steep mountains. Every day you can discover new routes. One thing that can always strike you is its variety. 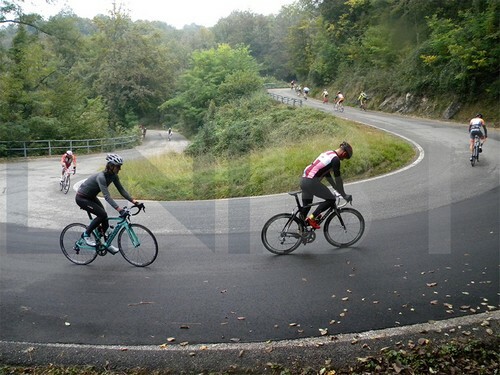 While the Alps remains a playground for pure climbers and the mountain goats, the beauty of Northern Italian Lakes, for riders of all levels, is its accessibility: there are few climbs here that will prove too difficult for the average rider. 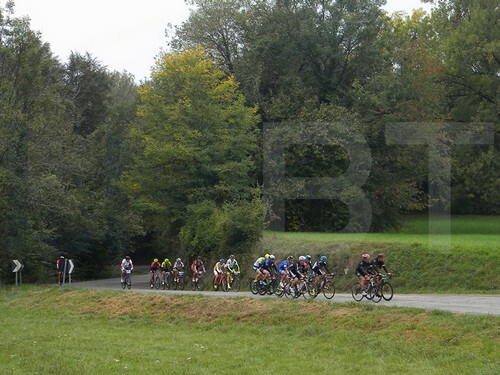 The region has some of the best training roads for cyclists because there is so much variety. The lake roads are flat and there are many roads up in the mountains for climbing. Mostly you can feel safe on the roads here because local drivers are used to seeing many cyclists and they are friendly. However if you ride together as a group you DON'T had better to ride side by side . In such a way the drivers can became angry here! Lake Maggiore, Italy’s second-largest lake. Lake Como and Lake Lugano are smaller. 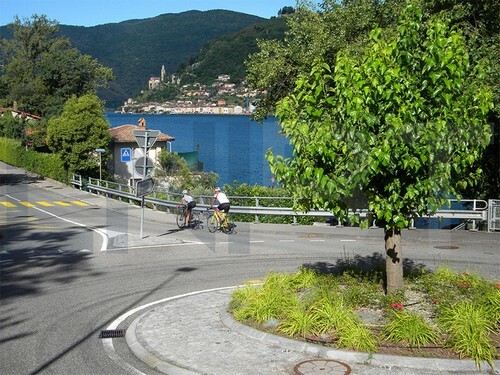 Between and around these are several minor lakes - such as Lake Orta, west of Maggiore, and Lake Varese, midway between Lake Maggiore and Lake Lugano, as well as Lake Comabbio, Lake Monate, Lake Ganna and Lake Ghirla. The southern end of area is relatively flat ( approx 300 metres .a.s.l. – 990 feet .a.s.l.) and more peopled, but the northern end is mountainous (approx 1.000 metres a.s.l. - 3,280 feet a.s.l.) as the lakes reach the foothills of the Alps in Switzerland. The region offers classic images of Italy: balconies over blue water, sleepy cobblestone villages and stone cottages, secluded gardens and exotic flora.